If the commercials for R.I.P.D. made you think the movie would just be one big Men in Black rip-off, well… You’d be right. Director Robert Schwentke presumably passed on directing Red 2 to make this movie. Not sure if that was the best choice. However, from what I hear, Red 2 ain’t that hot either. 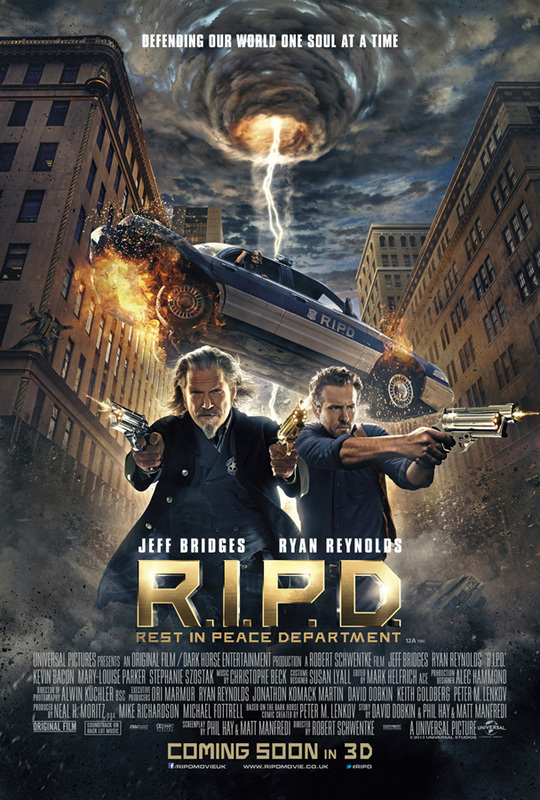 Ryan Reynolds plays Nick Walker, a hot-shot Boston Police officer who’s killed in the line of duty and forced to join the R.I.P.D., the Rest In Peace Department. The department’s main priority is to detain lost souls, called Dead-O’s, who refuse to leave earth. Dead-O’s will rot the planet if allowed to remain, eventually destroying it. You can’t have that, so R.I.P.D. officers must track them down, arrest them, and send them on their way. To hell, most likely. Because, you know… they’re bad. We’re told they’re bad, but really what is their crime? Wanting to remain on earth for a little while longer? Who can blame them? Especially if their alternative is hell? Awesome Video on the History of Film Compositing. This is an excellent film history lesson. It comes from filmmakerIQ.com and they discuss the history of film compositing. Starting back in the 1920’s with George Melies and going all the way to the present with digital green screen. If you have an interest in how films are made, this video is a must-watch. You’re sure to learn something. One thing I didn’t know is that they used blue-screen techniques as early as 1940! It gets a bit complicated but I have to give filmmakerIQ.com credit for describing it as simply as they can. I hope you enjoy it as much as I did. As always, feel free to let me know what you think in the comments. This is a fun little video starring a few actors who have portrayed Superman in one form or another. I’m sure it’s meant to be an advertisement for the DC Animated movie Justice League: The Flashpoint Paradox that’s coming out on Tues (review coming soon!) but it’s fun nonetheless. It’s too bad Dean Cain couldn’t be there in person and no one seems to care that George Newbern isn’t present. Having Henry Cavill present would have been great, too. 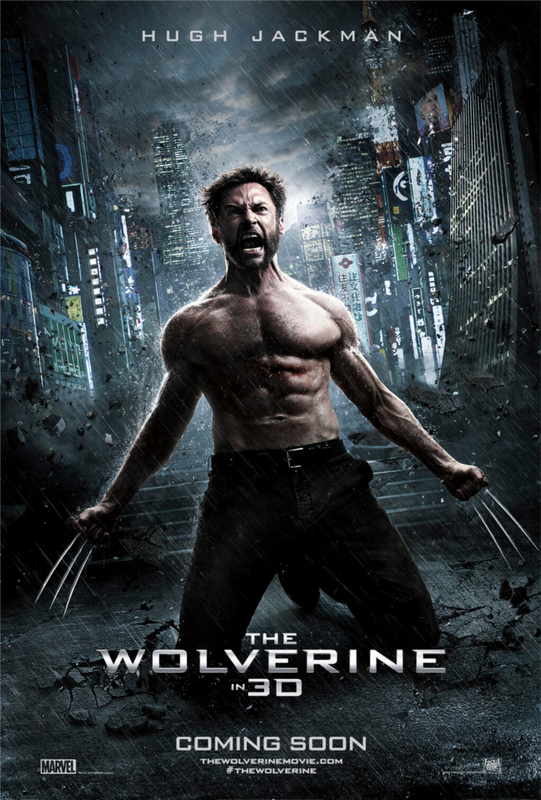 After the failure of X-Men Origins: Wolverine, my expectations for a follow up were fairly low. I consider that movie the worst in the X-Men franchise (yes, I like The Last Stand more) so I was worried we would get a similarly rushed film with too many characters and a terrible story. Then Darren Aronofsky was attached to direct and my interest sky-rocketed. Aronofsky had directed Jackman before in The Fountain and brought about the best performance of Jackman’s I’d seen until Les Misérables. Not to mention every Aronofsky film has a well thought out and meticulous story-line. I was stoked. Then word came around that Aronofsky had left the project. Who would replace him? James Mangold. He, too, had directed Jackman before on a picture called Kate & Leopold. To Mangold’s credit, he also directed some awesome films like Cop Land and 3:10 to Yuma. He actually has a pretty diverse resume. Walk the Line, Identity, and Girl, Interrupted are a few more of his films. His latest effort was Knight and Day, which I enjoyed but had some noticeably bad green screen work and was a bit more on the comedy/action side. If the 3:10 to Yuma Mangold showed up to direct The Wolverine, I’d be happy. If the Knight & Day Mangold showed up to direct it… I’d be worried. In the latest episode, Justin and John discuss the live action Green Lantern film. Its John’s favorite superhero character, so what did he think of the film? Plus, the guys discuss the inclusion of Batman in Zack Snyder’s sequel to Man of Steel and what that might mean for the upcoming Justice League movie. Note: We were still trying to figure out the best method of recording ourselves and Justin chose a poor option. So, again, please forgive (half of) the audio in this episode. The program he used also cut out during recording, which is why you may notice some skipping here and there. Our next episode should sound great. Fingers crossed. The Conjuring is the latest horror film from Saw and Insidious director James Wan. This time he brings us the true tale of a family’s new home and the demons it contains. If the plot sounds a little cliche, Wan actually provides us with a fresh approach to the material. Upon viewing the trailer for this film, I expected an Amityville Horror, mediocre haunted house yarn. Fortunately, it exceeded my expectations and even creeped me out a little. I’m not a huge horror fan. I love the original Halloween and I enjoy the cheesiness/fun of the original Nightmare on Elm Street and Friday the 13th: Part IV but am picky about most modern horror films. So it’s quite a delight when one surprises me and has me leaving the theater feeling entertained. We have two podcasts complete, along with two mini reviews by Justin and will be releasing them on iTunes once we hit a total of five. Doing so will allow us to be on the “New & Noteworthy” podcasts list. Stay tuned.